As with so many other media and publishing-related businesses, the book industry has been massively disrupted by the internet, to the point where an increasing number of authors have found success by avoiding the traditional publishing system altogether. But is the old-fashioned publisher model totally without value? 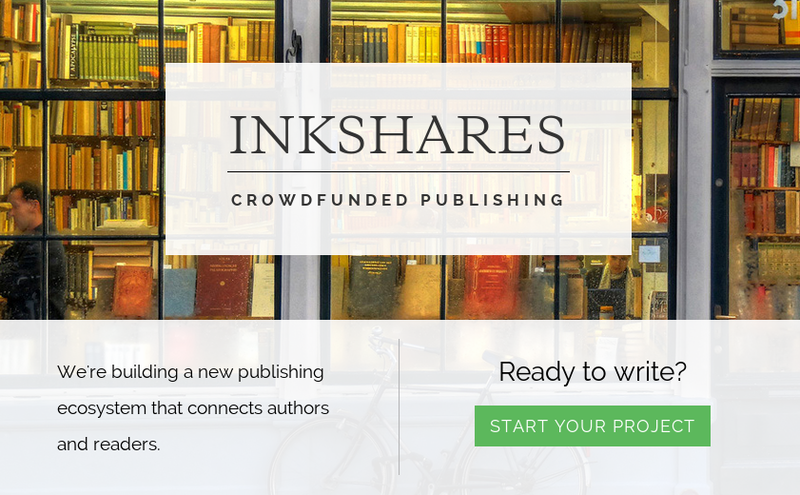 The founders of Inkshares don’t think so — which is why they are trying to create a kind of hybrid platform that combines the benefits of crowdfunding with some of the services that traditional publishers have offered in the past. Independent success stories like young-adult author Amanda Hocking — who wrote and sold her stories on Amazon’s Kindle platform and wound up becoming a multimillionaire in the process — are definitely inspiring, says Inkshares co-founder Adam Gomolin, but to some extent they are “unicorns,” in the sense that not every author is going to be able to duplicate their success. Gomolin’s co-founder Larry Levitsky, who worked in the traditional publishing industry for many years at McGraw-Hill and then at Microsoft’s publishing unit, says many authors don’t have the type of personality or motivation that allows them to do all the things that are involved in producing and selling a book, such as editing or marketing or distribution. That’s where Inkshares comes in, says Gomolin — it wants to bring the kind of support relationship that authors have with a good editor or publisher to the digital publishing model. The biggest problem with the traditional publishing business, Levitsky says, is that it is so hard for new authors to gain access to the industry. Even those who turn out to be best-selling authors, such as J.K. Rowling or Pulitzer Prize winner Paul Harding, routinely get turned down by dozens of publishers before they manage to find one who will handle their book, and the Inkshares CEO says that problem is getting worse rather than better as the traditional industry continues to downsize. What crowdfunding offers, Gomolin says, is a way of doing an end-run around the “slush pile” process, where writers send in manuscripts and then publishers (or their assistants) get to determine who wins and who loses based on the first four pages of a book. Instead of that black-box approach, everyone on a crowdfunding platform like Inkshares can see who is looking for funding and how much they have received (the company says it has hand-picked authors to get the platform rolling but after that the selection process will be completely crowd-powered). There are a number of other platforms and services that are also trying to offer crowdfunding for authors, including UK-based Unbound and Pubslush (and of course Kickstarter and Indiegogo), and there are also platforms like Contributoria and Beacon and Byliner — which are more devoted to the article format, something Inkshares also offers support for. Gomolin says Inkshares wants to offer a lot more than just crowdfunding, however, including the marketing support and knowledge of distribution channels that can give new authors access to a much broader market. In an interesting twist on the model, Inkshares also plans to add an additional feature that other platforms and services don’t have, says Gomolin, a former securities lawyer: As the name of the company implies, Inkshares wants to become a fully-licensed crowdfunding entity that can actually raise money for books and then potentially offer backers of those books a share in the revenues from its sale — something most crowdfunding platforms are not legally allowed to do. So in addition to providing the kind of tiered rewards that are similar to many other Kickstarter-style platforms (Inkshares allows authors to offer support tiers such as Fan, Enthusiast and Patron — most of which offer things like access to unpublished drafts and private discussion forums for backers) the company is hoping it will be able to raise financing itself to bring books to market, by offering investors a potentially tangible return on their investment. The bottom line, Gomolin says, is that the traditional publishing industry isn’t actually broken — or at least not irretrievably broken. The Inkshares co-founder argues what it needs is the kind of innovation and efficiency that crowdfunding and other digital tools can bring, to better connect authors with the ultimate audience for their work. To the extent that Inkshares is able to provide that marriage of old and new, the co-founder says, it will have fulfilled its mission. Whether Inkshares succeeds or not, it’s certainly true that would-be authors have much more opportunity now than ever before: in addition to traditional book deals and fully self-published approaches, there are dozens of potential solutions in between — including communities such as Wattpad where writers can hone their craft before getting to the point of writing a book. And that’s a fundamentally positive thing for lovers of good writing. This is an interesting concept, though I do know of other publishers that are already using similar models. I’m optimistic and interested to see how they do! I met people from Inkshares at the San Francisco Writers Conference. To become a client of Inkshares, writers need to first be successful in their crowdfunding efforts. If writers aren’t, then it’s my understanding that Inkshares won’t take them on. So there is that initial hurdle writers must overcome. There is a publishing company that brings the editing, formatting, cover design, order fulfilment and help with marketing to authors already, and they combine all of that with the author having the same input into what the final product looks like as they would if they self-published AND they do not charge the author fees for these services. Their fee is that get paid $1.75 from the sale of each book, the author’s keep the rest. A true revolution in publishing and one which has allowed them to publish books by people living at or below the poverty line as well as people that are homeless.